Back to school – We are in that time of year again where children are excited about their new backpacks, school uniforms, new shoes, new books, etc and the school management is drilling exercises for the new academic year yet to start in a very short period. Amidst all these, are the parents with their own questions for the school management to answer and are looking for a better and enhanced way of communication all around the year. The primary question every parent always had and still has towards the school management is how effective the communication would be from the school? Considering the current trends in technology, if I or anyone had to answer that question, I or he would simply say a perfect school app; as it creates a harmonious school to parent communication. However, when asked the schools about what could be the best way to communicate to parents about information, many schools were in the process of digging ways to find one. Despite their serious efforts over the past few years, couldn’t enhance the school-to-home communication. Parents, on the other hand, want to know about their child’s daily activities in the class, their daily progress, behavioral aspects, what’s happening in the class, etc., on a regular basis. They want the information to be shared consistently. In the case of an emergency, parents want the information sharing to be instant and without any delay. Over the past few years, communicating information to parents and contacting parents and pupil on a regular basis was a daunting task until there was a wide usage of mobile phones. A mobile device such as a smartphone has revolutionized the way we communicate. In a recent study of the mobile usage, it was estimated that 4 out of 5 use mobile phones and on an average have downloaded up to 10 apps on their smart devices. With the augmented usage of mobile phones, schools are now thinking of having or developing a mobile app for an uninterrupted communication. Walking in the shoes of the schools and parents, MyClassboard developed a perfect school app to connect schools to homes and keep the families in fellowship with the school management. 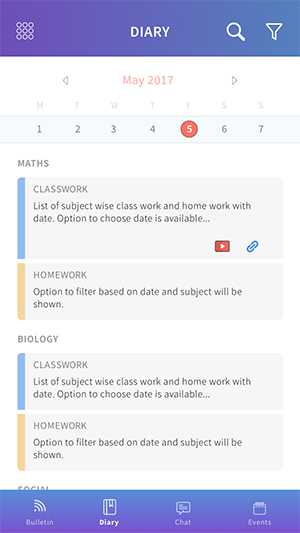 The MyClassboard school app has a host of benefits for teachers, students, parents, administrator, accountant, transport in charge, principal and director. The best feature this perfect school app comes with is the “Push Notifications” – to send important information to students, parents, and faculty. This is an easy-to-use push notification feature that has a central notification center with proper labels to understand from which product the notification was pushed. 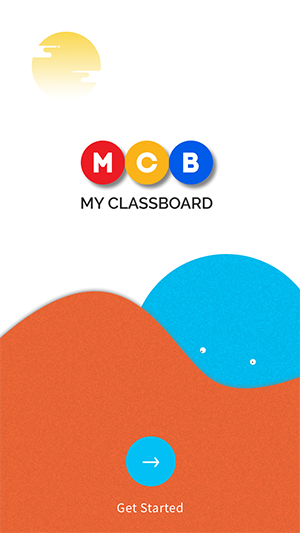 The existing mobile application from MyClassboard empowers schools to easily communicate with parents while saving the significant time and effort of teachers and parents. The application has been customized to save time, money and also fasten the process of sending information. Moving with the tide in this technological era, MyClassboard has upgraded its existing application with new look and feel. The newly upgraded application is a suite of integrated features which eliminates paperwork, helps in building and sustaining a harmonious relationship with parents, enhances financial benefits and furthermore helps parents to be in constant touch with the school management and teachers thereby helping them to know what’s happening in the school. This is a very user-friendly application with state-of-the-art features which comes absolutely free of cost. For those who are yet to use our mobile application, can download it for free from Google Play app store and Apple App store. For those that are already using the mobile application, simply need to upgrade the application. 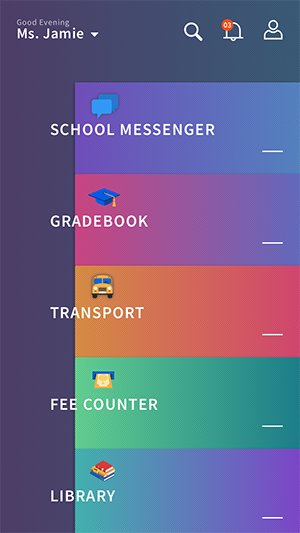 Here is a gist of the integrated features in the perfect school app. An eye-catching Get Started screen of the perfect school app. 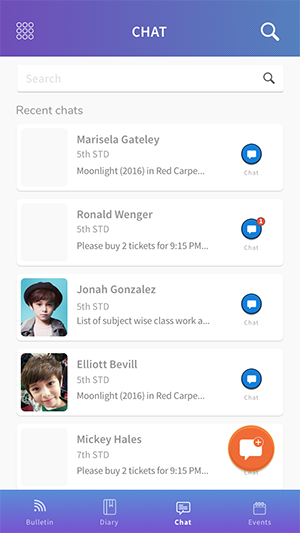 Create announcements about PTM, class events and communicate the same with all classes/selective classes, parents and teachers. Upload photos, videos, podcasts, documents, share school news, class moments. Attach and share files, links with “Like” & “Share” options. Central app for school and parents to access all modules and a notification center to push and receive notifications product-wise. For instance, teachers can upload grades of students in the Gradebook module and parents and students can access the same from their app. Teachers can upload daily homework and classwork, tag resources from MCB content cloud and also upload assignments or holiday projects. Online chatting between parents, teachers and school management can be initiated through chat rooms. Unlimited groups can be created to discuss matters of importance. You can also set up Quiet Hours to enable the “Do not disturb” feature. 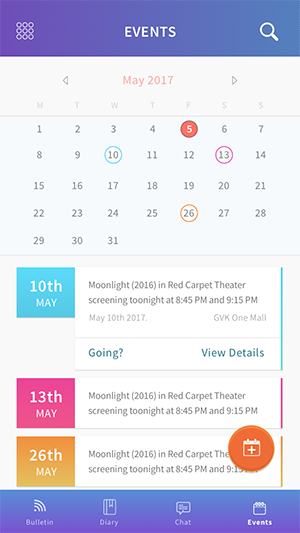 Create events in the calendar for field trips, holidays, school events, exams, set reminders, invite people and collect parent responses. Also, allow the parents to pay the fee instantly. 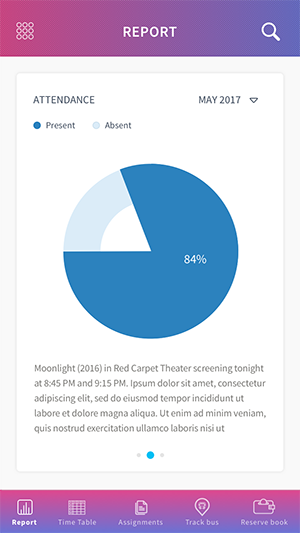 An attendance report of the students that includes daily attendance, monthly attendance of students and event wise attendance. 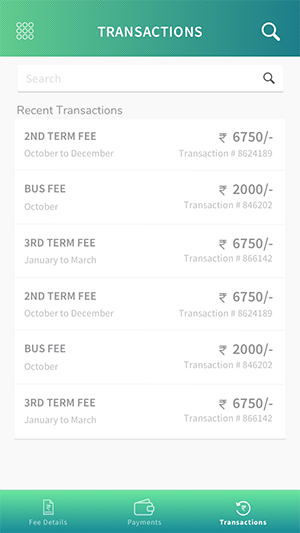 View the fee details, recent transactions and make payments. 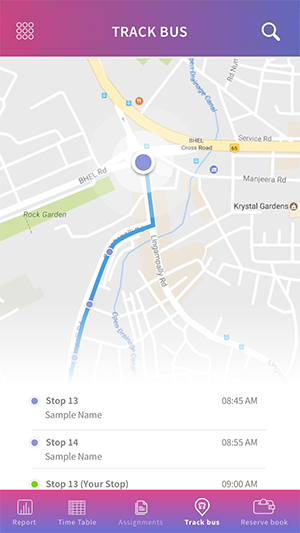 Track the school bus in which the child is traveling from your mobile app. Know the whereabouts of the bus and the children time-to-time. 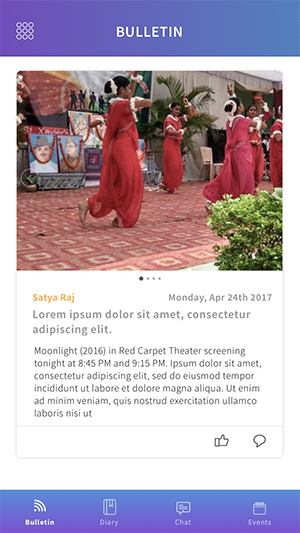 To empower all the users to stay connected, involved and informed in the loop, MyClassboard has upgraded its mobile app with the aforementioned features. 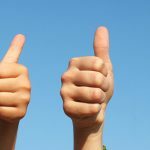 Are you experiencing school to parent communication issues in your school? 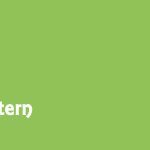 Do you need a platform for teachers and parents to communicate with each other on a regular basis? Do you want to manage and organize essential everyday tasks online in a single touch? Here is a perfect school app leveraged from MyClassboard which is compatible with iOS and Android systems. There are 2 personalized school mobile apps, one exclusively designed for parents and students, and the other for the school users like admin, teacher, accountant, transport in charge, principal, director, etc. For all those parents who always remained unsatisfied with the communication issues from the school’s end, and for the school management that failed to develop a consistent interaction with the parents and staff, here is MyClassboard School App – A Perfect Companion For Your School.